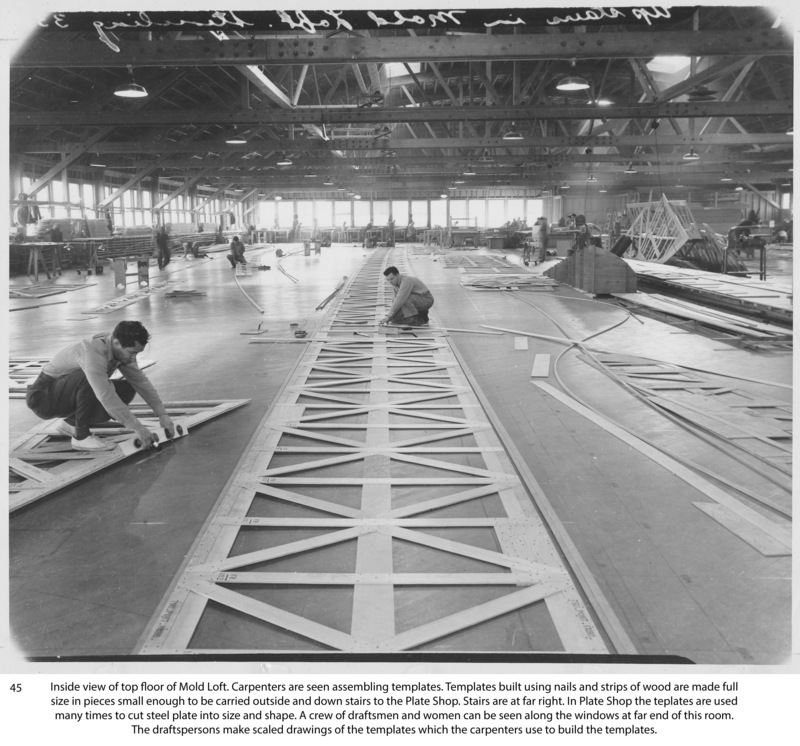 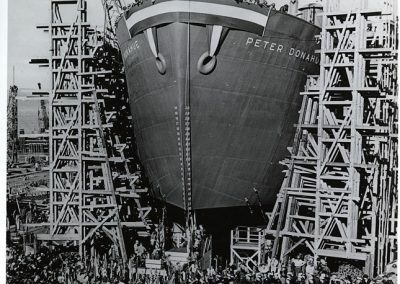 It was on March 2nd, 1942, that one of the nation’s largest ship builders, W.A. 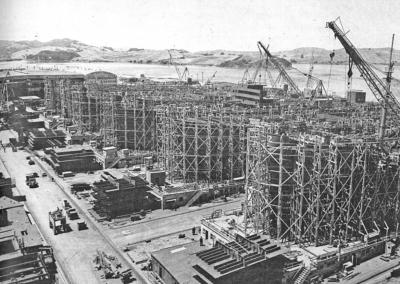 Bechtel Co., received an urgent telegram from Admiral Emory S. Land, Chairman, U.S. Maritime Commission, requesting that construction of six more cargo ships be added to Bechtel’s already heavy load. 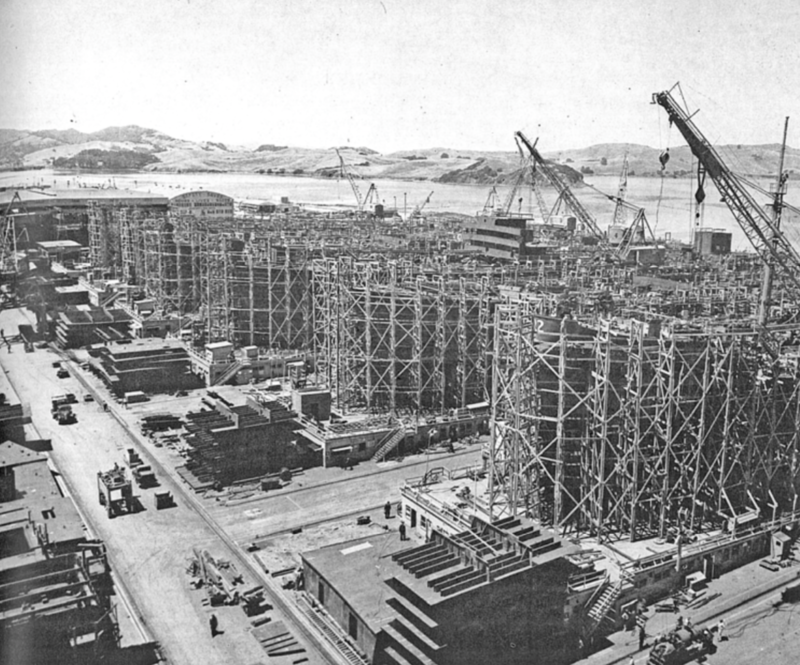 Recognizing that these new contracts would require new facilities and that much of the San Francisco Bay as well as other ports, such as Los Angeles, were already congested with wartime activity, Bechtel’s organizers chose to develop this small piece of Marin county’s relatively uncluttered shoreline as a new ship building center. Marinship would stand along side and complement other ship building centers like Richmond; Terminal Island; Portland, Oregon; Houston, Texas; and South Portland, Maine. 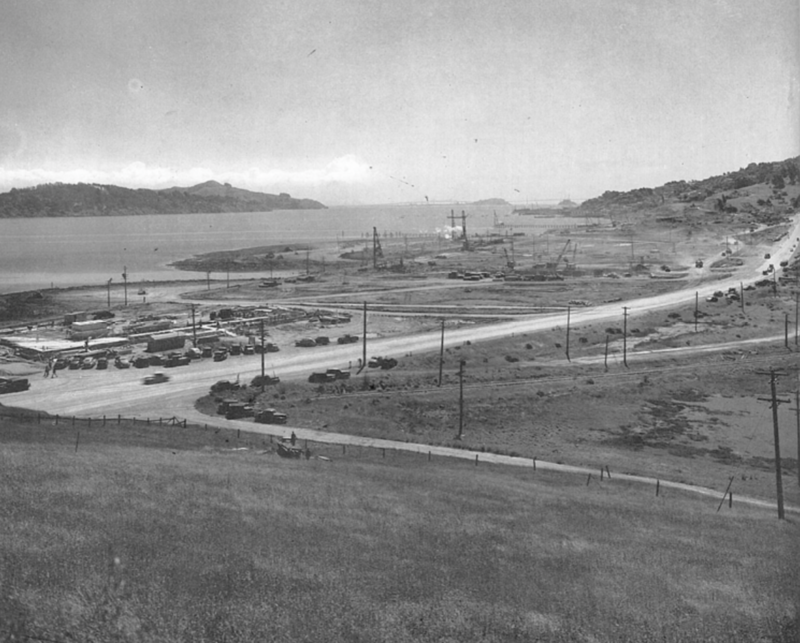 The site which had been known in those days as “the old Northwestern Pacific Railroad site near Sausalito” was quickly puchased from Southern Pacific. 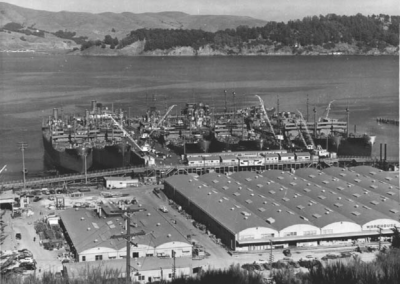 By April, because of ship sinkings during the War, even more ships were needed; and the plans for the Marinship “yard” were extended. 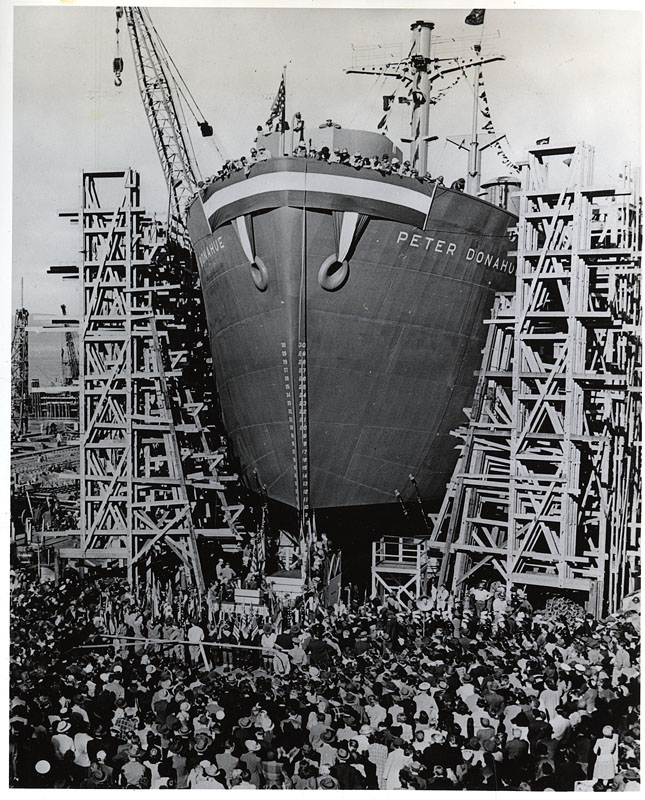 By December 7th, 1942 — a mere nine months later — six Liberty ships had been launched. 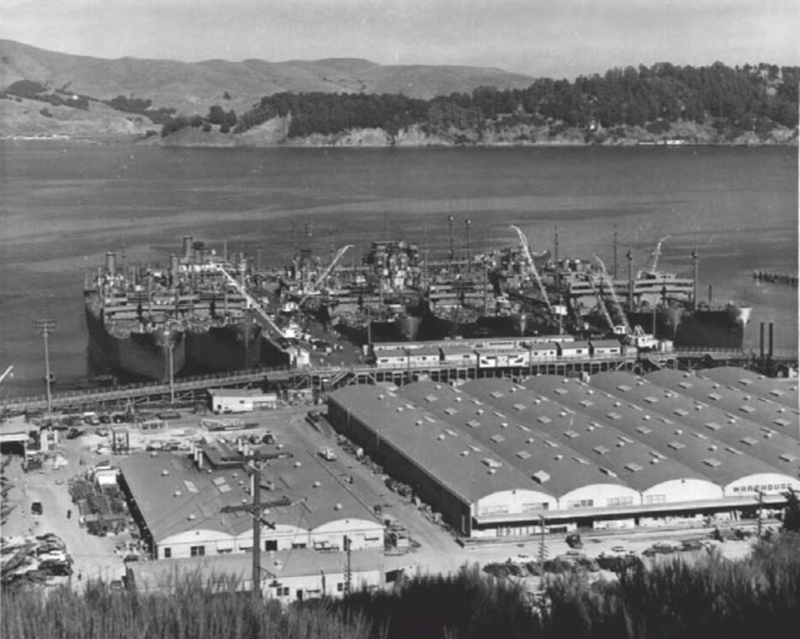 Eventually, contracts for 100 ships were awarded to the Marinship facilities. 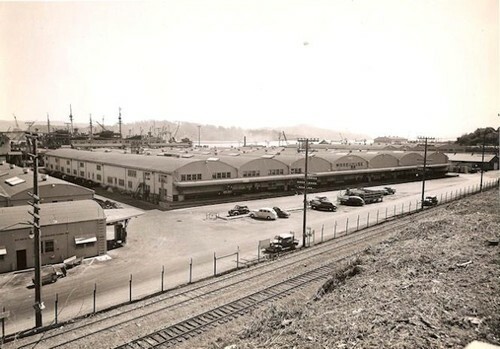 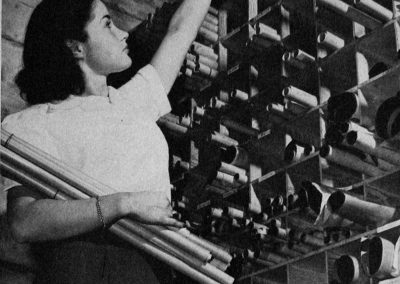 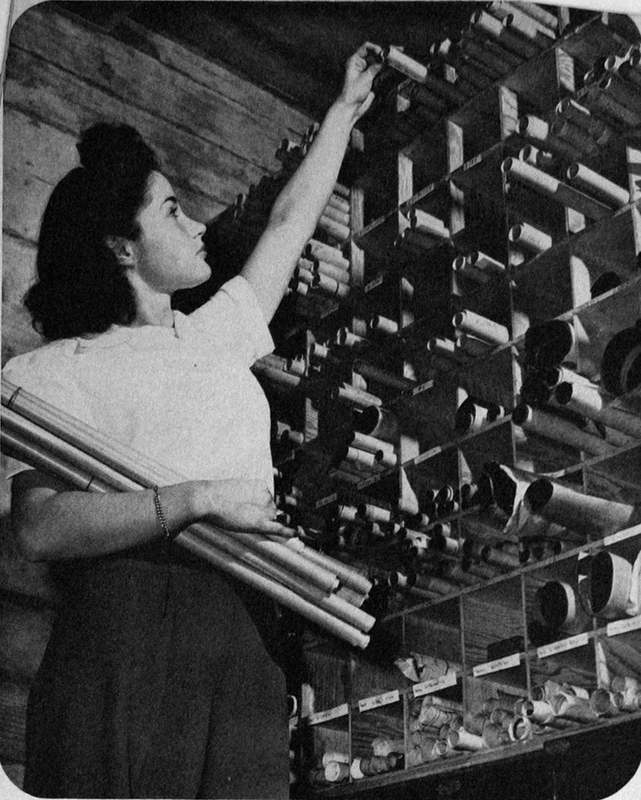 But, by the middle of 1945, with military needs for shipping filled, seven orders were cancelled. 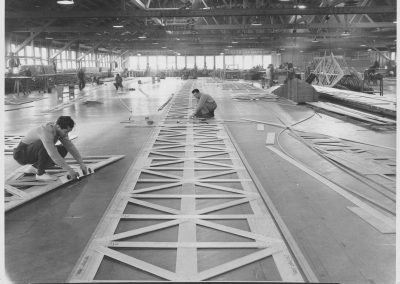 The last Marinship launching was “No. 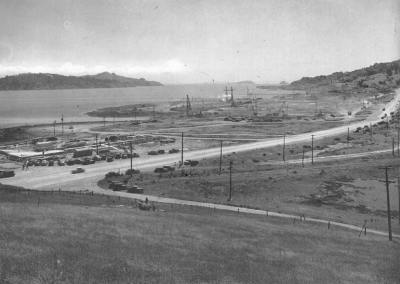 93” on October 29, 1945. 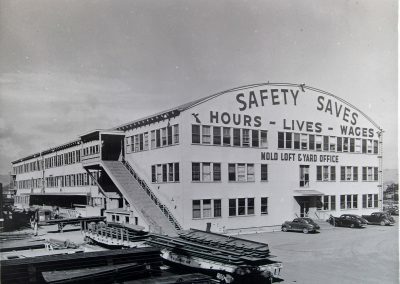 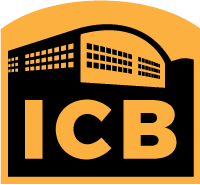 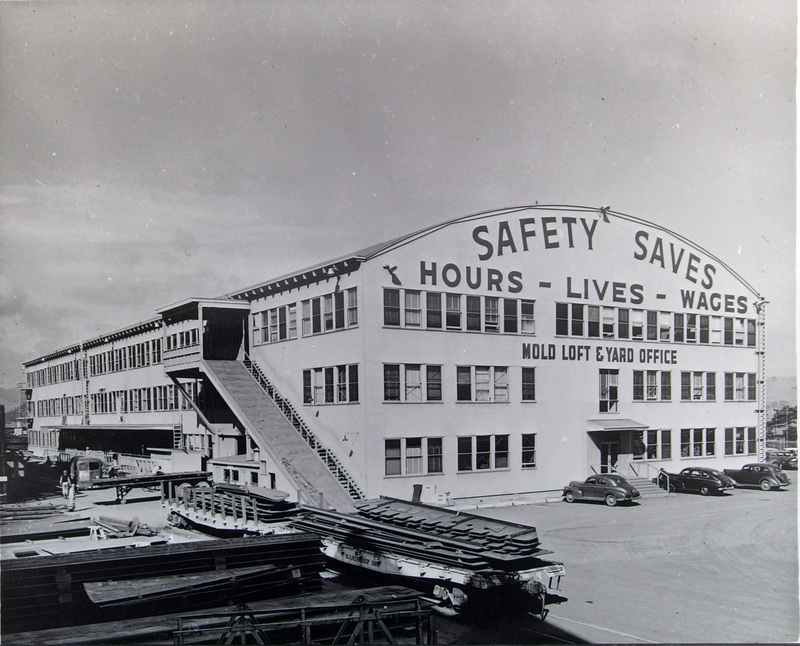 Throughout this heroic effort, the approximately 110,000 square foot building that would become known as “the ICB” (just one of approximately 20 buildings that made up the ship yard) served as the “Yard Office and Mold Loft Building.” Pile driving for this building was started May 3rd, 1942, offices began being occupied by August 23rd, and it was completed on September 15th of that same year.